During our weekend in Derbyshire we went in search of fossils in the limestone quarries that edge the former Cromford & High Peak Railway line at Steeple Grange, Wirksworth. We parked in the car park of the National Stone Centre to have a look at one of our favourite ‘decaying remnants’ – the wonderfully odd RS8. RS8 started life as a typical 0-4-0ST built by the Avonside Engine Co Ltd of Bristol in 1923 as works no.1913. She would have looked something neat, compact and efficient – like this: As a steam engine she spent the majority of her working life at Tunstead Quarry, Derbyshire where she received and carried the number RS8. 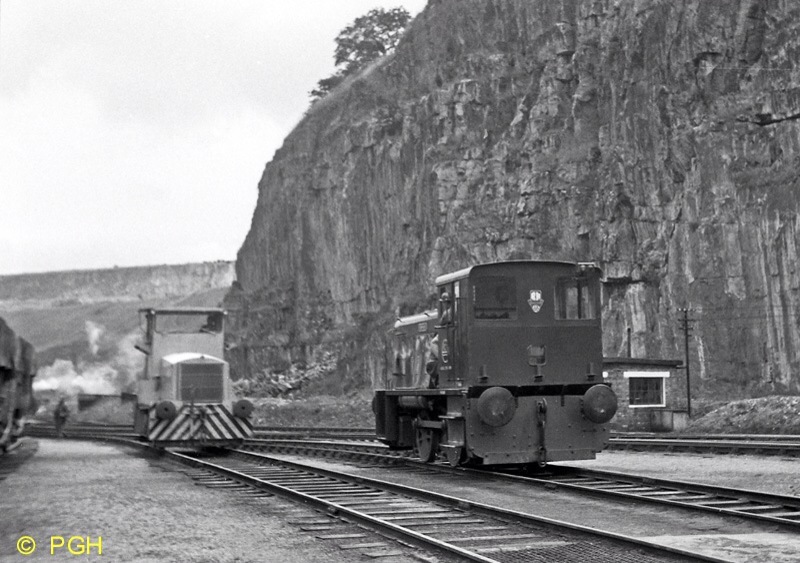 When steam working at the quarry ceased in 1960 RS8 was converted to diesel power with hydraulic transmission (making it an 0-4-0DH) at the I.C.I. Ltd’s South Central Workshops at Tunstead with a Rolls Royce engine. An image of RS8 found on the rmweb.co.uk site. It’s got to be said that the Avonside ‘swan’ was turned into one heck of an ugly duckling! RS8 is one of the most ungainly-looking engines you’re ever likely to meet. In her converted form she continued to work at Tunstead until 1974 when she entered preservation with the ‘Bahamas Locomotive Society’ at the Dinting Railway Centre. 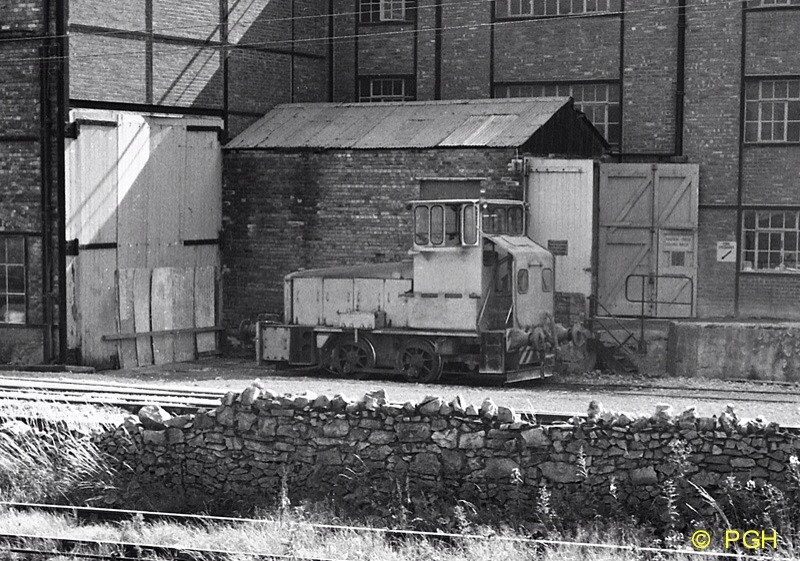 When Dinting closed RS8 was put on display in the car park of the National Stone Centre beside of the trackbed of the former Cromford & High Peak Railway, on what is now known as the High Peak Trail. However, the elements have not been kind, and a combination of the ravages of time and the seasons, plus the tinkering and pilfering of passerby have depleted RS8 and she now stand rather fallornly unloved in her car park resting place. The information board still claims that ‘plans are in hand for restoration’. I love their optimism! “Does it still work?” asks Joe. Postscript June 2016: I believe that RS8 has now been removed from its carpark plinth, and is undergoing restoration under the auspices of Peak Rail. 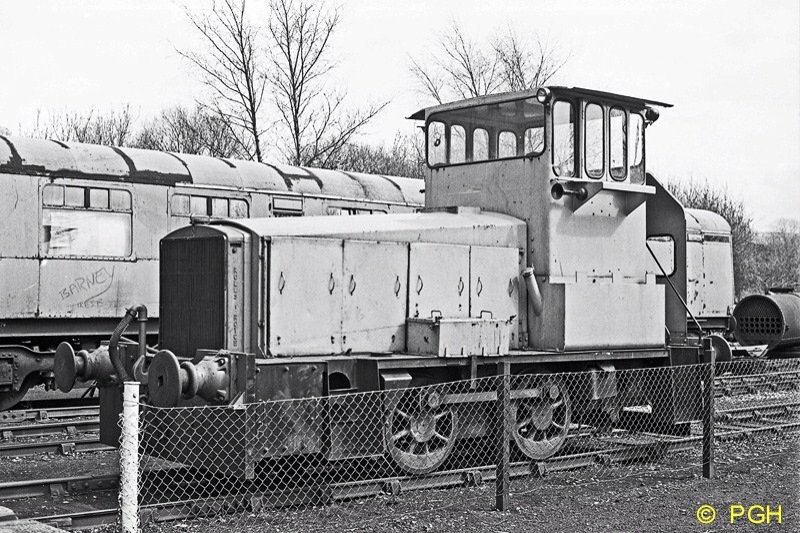 It’d be wonderful to see this quirky loco brought back to life. Pete, thanks for the update.